The P300 Neo maintains the blockbuster brightness of its precursor P300, while reducing size and weight by more than 40%. 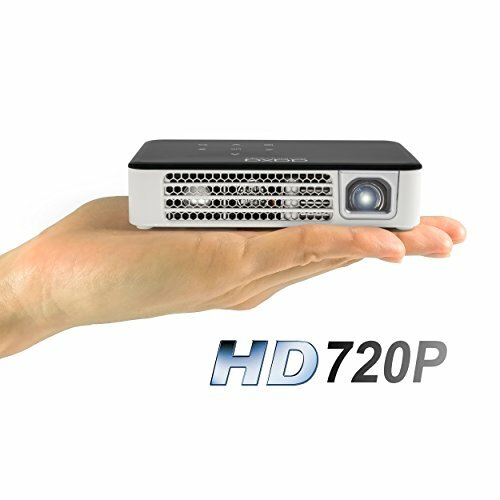 The P300 Neo is an ultra-compact projector measuring just 5.4" x 3.4" x 1.18" which is about the size of two smartphones stacked together. The P300 Neo houses a revised DLP optical engine that delivers 420 LED Lumens of brightness at a native resolution of 1280x720. Powered by a 30,000 hour LED light source the P300 Neo can deliver up to 120" images (in dark areas) and offers truly pocketable high-powered projection. If you have any questions about this product by AAXA Technologies, contact us by completing and submitting the form below. If you are looking for a specif part number, please include it with your message.